My friend Ruth Gay opened a small shop a few years ago and man has she taken it to a whole new level. The place is huge now. 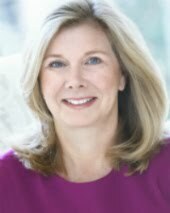 She is very hush-hush about her clientele, but I will tell you, I was in there when I spotted the person I would leave my husband of 28 years for. (sorry Mark) Don Henley of the Eagles!!! I was shocked when he gave Ruth a big hug and knew her on a first name basis. How could my good friend be holding out on me!!! Ruth has amazing taste. You might ask yourself, “Wouldn’t someone with an amazing sense of style and innovation go to France or at least somewhere in Europe to buy a unique mantel or interesting flooring?” Where the answer once was, “yes.” it is now, “not anymore." 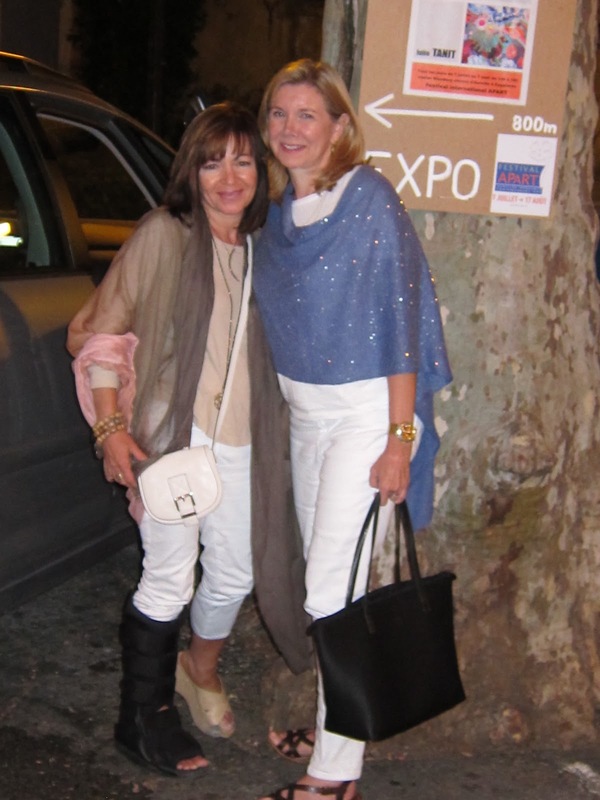 I met-up with Ruth in France for only a few days while I was on vacation, but I needed a vacation after spending just 3 days with her. This girl wakes up at 5:00 am to be the first at the markets. Every vendor knows Ruth. Her ability to communicate with them in their native French makes it simple for her to negate the often- overwhelming market scene. 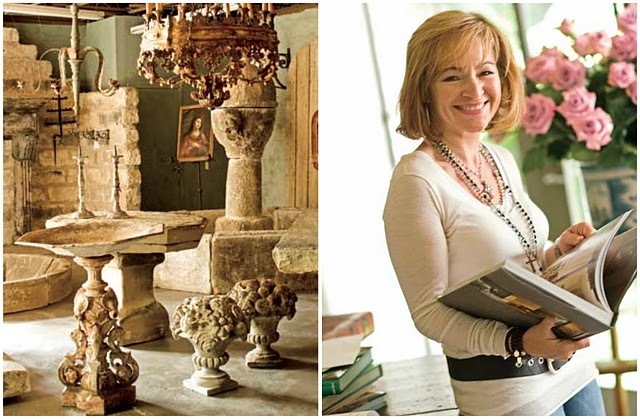 Ruth painstakingly selects every piece that goes to Chateau Domingue as if it were going into her own house. For five hours she makes her way through a field of rubble that is actually a stone yard all while sweating in 95-degree weather and that was only one of the several visits. She can instantly distinguish what is quality and what is not. She can look at a mantel and recognize authenticity. That is why her clients and designers trust her. They know their product is unique. They will not see it in another home and it is what she says it is. She is often contacted before the architectural elements are even removed in most countries in Europe. I have seen her fly to Europe for 3 days to look over flooring and fly back and go straight to work and then do it again in 2 weeks. 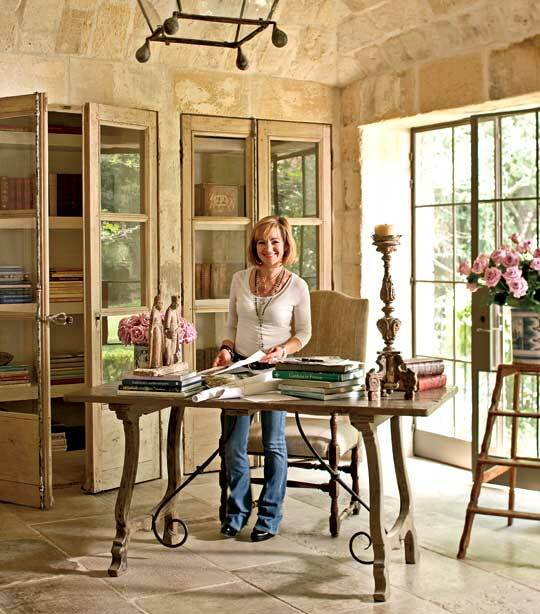 What I love most about Ruth and Chateau Domingue is how she takes just as much time with the customer who may be buying only a few tiles for a kitchen back splash as she did with Don Henley. 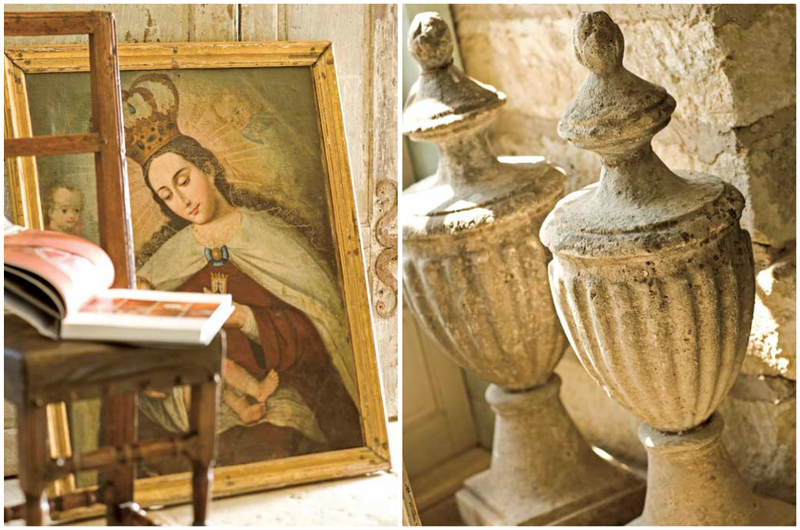 Chateau Domingue is an architectural boutique carrying distinctive, impeccably curated, antique found objects. You can learn more here. Lovely images. Your friend seems amazing. Chateau Dominigue is on my dream list. 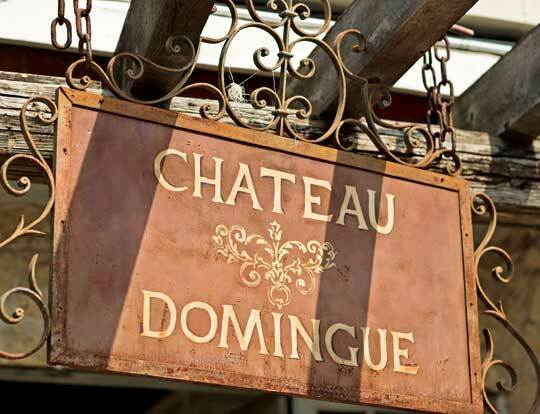 I definitely have to check out Chateau Domingue. Stunning work! This is a fabulous article. Ruth is such a beautiful person inside and out. So of course it is not surprising her boutique reflects her beauty. I would say the best word to describe it is FLAWLESS! To Cabo, or not to Cabo?